Dr Jonathon Parkinson graduated from medicine at the University of Sydney in 1998. He undertook his advanced neurosurgical training at Royal North Shore Hospital, John Hunter Hospital, Sydney Children’s Hospital, Prince of Wales Hospital and Royal Prince Alfred Hospital. During his specialist training, Dr Parkinson completed a Doctor of Philosophy (PhD) at the Kolling Institute of Medical Research, University of Sydney where he studied the molecular biology of brain tumours. As well as his surgical work, Dr Parkinson is continuing his brain tumour research. On completion of his specialist training Dr Parkinson studied further at the University of Calgary, Canada, where he completed a clinical fellowship with the world-renowned University of Calgary Spine Program. He further developed his expertise in minimally invasive (keyhole) spine surgery, surgery for degenerative spine conditions (including sciatica, radiculopathy, canal stenosis and spondylolisthesis) and treatment of metastatic disease to the spine. Dr Parkinson’s other interest is in surgical education. He is the current Surgical Supervisor of Training (in Neurosurgery) at Royal North Shore and North Shore Hospitals. 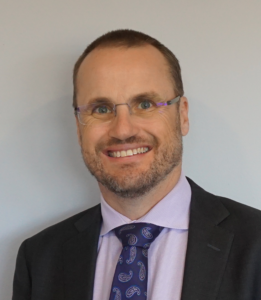 He is a Clinical Senior Lecturer at the Northern Clinical School of the University of Sydney, and the Postgraduate Research and Training Lead at the newly formed Surgical Education, Research and Training (SERT) Institute at Royal North Shore Hospital.